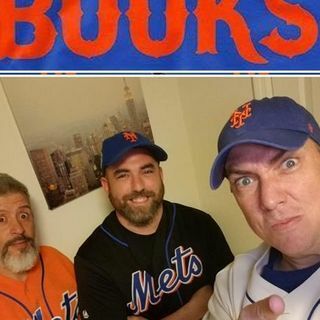 The boy are back with another episode of PUT IT IN THE BOOKS! This week on a special day and time – Friday at 6pm! Think of it as an episode/pregame show! Is this roster a powerhouse when healthy?Jim RomeHow critical is Thor’s health to the METS playoff chances? CALLAWAY is weathering the storm like a trooper. Thoughts ?Youth leading the way in times of strife !!! Rosario and Nimmo - Nice little one two punch ?Slumps are made to be broken!! Played 2 first place teams in a row and held our ... See More own… Thoughts?Minor league highlight report DEN DEKKER HITS 300 WITH 8 HOMERS, Peter Alonso and Phillip Evans 10 homers.State of the union on Mets pitching from AA through MLB (over view, injury updates and depth concerns) Lugo starting, stretching a thin bullpen even more.Den Dekker againScrubs@Mets game 2 of 4 preview.